This page last revised May 14, 2015. 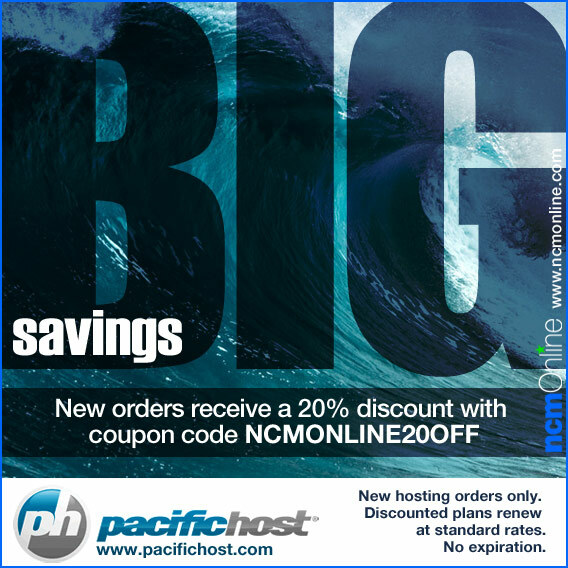 Shop now and receive 20% off any PacificHost web hosting plan. Use promo code NCMONLINE20OFF in your cart when you order. All coupons and discounts are only valid towards the initial PacificHost web hosting plan purchase and do not affect the renewal or recurring price. Discounts and coupons do not apply to domain name purchases, domain name renewals, or any new or renewing “add-on” services. Some information on this page: Copyright 1999 – 2013 © PacificHost, a division of WireFuseMedia LLC – All Rights Reserve.